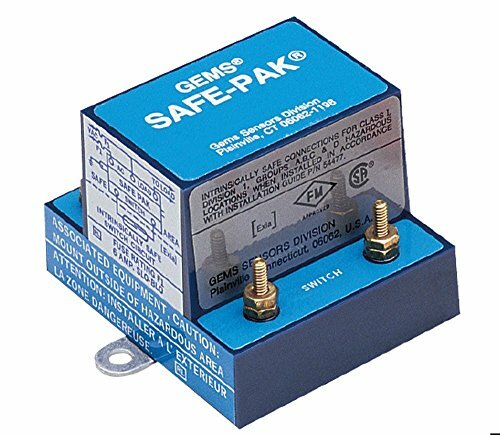 Gems intrinsically low sensitivity safe-pak relay. Sensor closures up to 1000 ohm resistance control resistive loads to 5A at 120 VAC. Operating temperature range: -10 +140 degree F. 0.5A at 20 VAC to 0.05A at 200 VAC load current maximum. 300 Turn-on sensitivity (typical). 1000 turn-off sensitivity (typical). SPST N.O. switching operation. Approvals: UL, FM, CSA. 3" height.